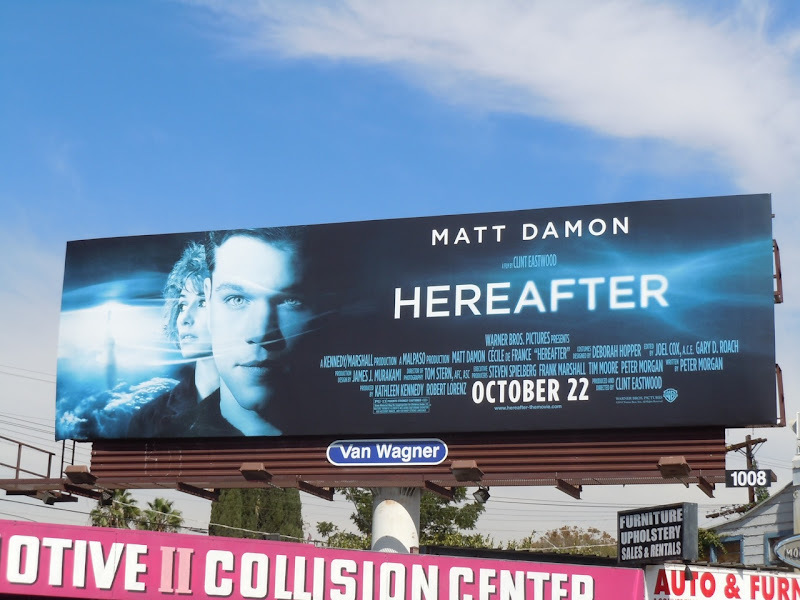 This billboard for the movie Hereafter certainly has an eighties vibe to it, but Daily Billboard thinks that's mainly due to to Cecile De France's permy hairdo more than anything and the fact it evokes 1990's Flatliners movie poster. 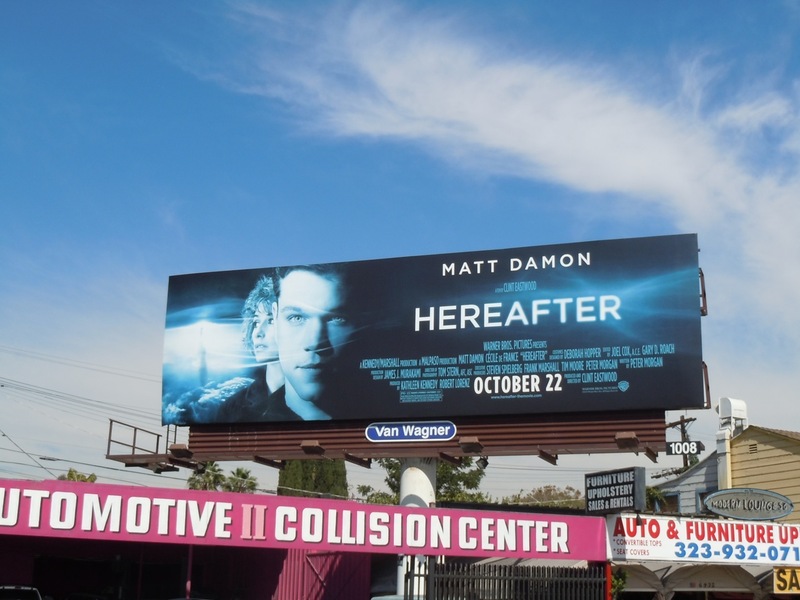 Matt Damon's striking features in blue really catch your eye as you drive around the streets of L.A., especially as this billboard seems to be everywhere at the moment. This billboard for Clint Eastwood's latest directorial effort was photographed along Melrose Avenue on September 30, 2010.